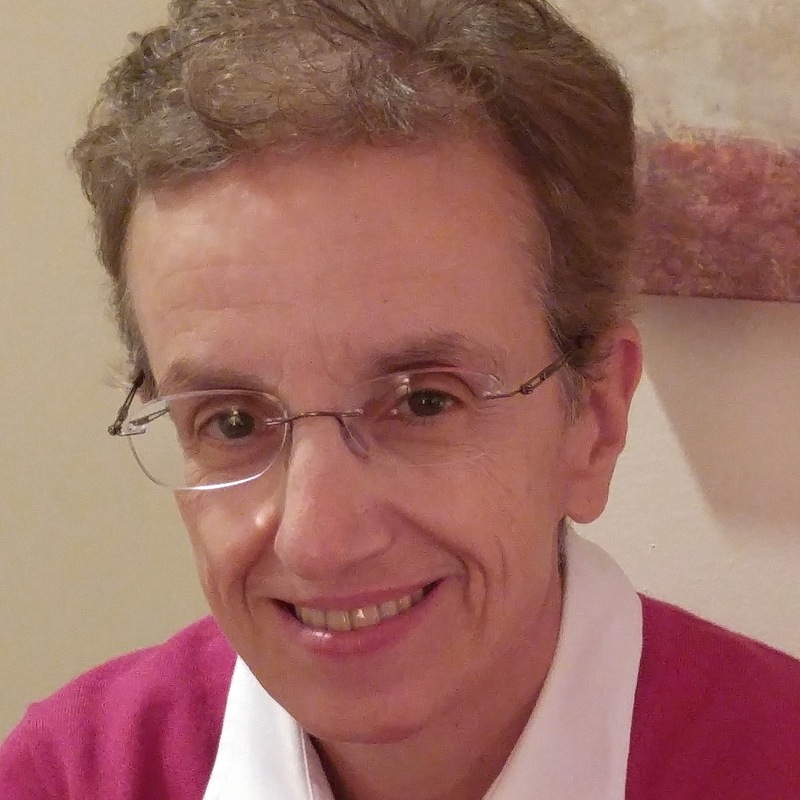 Ilia Delio, OSF holds the Josephine C. Connelly Endowed Chair in Theology at Villanova University. She is the author of eighteen books and numerous articles. Prior to Villanova she taught at Georgetown University where she was the Haub Director of Catholic Studies, and Washington Theological Union. She lectures nationally and internationally on various topics in Science and Religion, including religion and evolution, consciousness and complexity, integral ecology, and artificial intelligence. Her recent books include A Hunger for Wholeness: Soul, Space and Transcendence (Paulist, 2018), Making All Things New: Catholicity, Cosmology and Consciousness (Orbis, 2015), and The Unbearable Wholeness of Being: God, Evolution and the Power of Love, From Teilhard to Omega (Orbis, 2014) for which she won the 2014 Silver Nautilus Book Award and a Catholic Press Association Book Award in Faith and Science. Teilhard de Chardin described a withinness and withoutness to cosmic evolution, suggesting that consciousness is fundamental to how matter forms. Artificial intelligence (AI) poses critical challenges with regard to consciousness by suggesting that consciousness can be downloaded into new types of software. Will mindfiles and mindclones reflect personal distinction and uniqueness? Is there a ground of consciousness that escapes downloading? Do we know the levels of human consciousness sufficiently or are there aspects of human consciousness that connect with the Infinite in a way that transcends the limits of AI technology? Does the practice of meditation or centering prayer constitute a technology of spirit in a way that humans can transcend towards more being and life? Are we selling out the “inner universe” (or ‘interiority’) to the lures of AI without recognizing the power of the inner universe to shape the outer universe? Is the human person becoming flattened out like a pancake? Are we losing depth and the ability to think? What will this mean for art, science and religion? Can we develop AI technology integral to ecological wholeness rather than separating out technology from ecology? Can we see AI within a broader context of human transformation that includes the religious dimension of biological life? Are we so attuned to binary logic that we are losing the capacity for triadic logic? By this I mean we think in terms of “I-it” when in fact love calls us to a new logic of “I-Thou.” This new logic of love entails an intermediary space of creativity and transcendence, due to the nature of the complexified relationship of love. Can the logic of love be reproduced in a robot? What would human-robotic interactions mean for the deepening of compassion? Peace? Or Forgiveness? This project will explore AI within a wider context of human personhood including the religious dimensions of human and cosmic life, the nature of transcendence, and the driving power of AI evolution. Can AI find its place in a wider narrative that includes the religious dimensions of evolution and the trajectory of nature towards more complexified life? More so, can a broader narrative preserve a level of human freedom in evolution so that AI does not result in a trajectory of determinism?